I am using the term "ARC" loosely here in the name of this challenge. I will go over what reading material qualifies for this challenge below. 1. Actual Advance Reader Copies - this includes from tour sites like ATW Tours. 2. Any book that YOU ARE ASKED by either an author, publisher, publicist, media group, etc. to review. 3. Book Sneeze, Pump Up your Books, Tyndale and S&S Galley Grab ("they send out a monthly list & the first ~100 to get to their site gets the book to review"). 1. Any book that YOU personally asked for a review copy of. 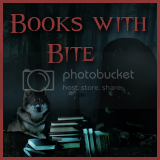 Non-Bloggers: Post your list of books in the comment section of the monthly wrap-up post on Jamie's blog. Audio, eBooks, and bound books count. Create a sign up post and link to the linky below. Challenge runs from January 1, 2012 - December 31, 2012. 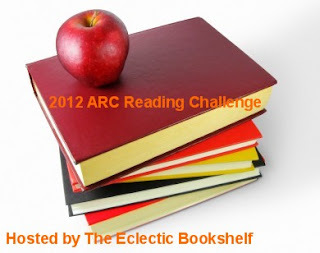 The Mini ARC Challenge – Read 4 ARC's. The "Fun Size" ARC Challenge – Read 10 ARC's. The Jumbo Size ARC Challenge – Read 20 ARC's. The Mega size ARC Challenge – Read 21+ ARC's. NOTE: You may UPGRADE your challenge but you can NOT DOWNGRADE your challenge. Sorry, Jamie... I have questions, of course! I need this one straight in my head. This would be the ones that the author sends out requests asking if we'd like to review? Would the pump up your book, tyndale & booksneeze programs count - they send out a monthly list & the first ~100 to get to their site gets the book to review? What about netgalley? Based on your 'rules' I thought 'yes' to the PUYB, Tyndale, & Booksneeze like programs but no to Netgalley. What are you thinking? @Gina - I sent you an email.on this but I thought I'd leave a comment too. No to NetGalley you get to choose what you want to review. But the other programs mentioned in your comment or others like S&S Galley Grab count...you get an email with multiple review requests in it. If you are asked to review a book by an author, publisher, publicist, media group, etc that counts. I'll be sure to fix that info when I get home from work in the morning. I'm in! Thanks for hosting this. Thanks for hosting this challenge, Jamie! I've joined you all. FYI, I've been running the original ARC Challenge for a number of years. My goal is Mega size! Thank you for hosting. Question: you said actual ARCs, but then you said books that you requested don't count? So it has to be books that people asked you to review?